The caves of Nerja are found four kilometers to the east of the resort. 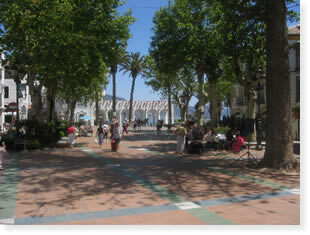 They are the main tourist attraction in Nerja. They attract hundreds of visitors annually. The caves were discovered by a group of boys from a neighbouring village called Maro. They climbed through a small hole as they were playing. This hole led them to one of Europe’s greatest caves. Some paintings discovered in the caves are believed to be over twenty thousand years old. Classical music concerts are held in the caves on July first. On the roundabout of the main coast road just after the sugar mill, the way to the cave is well marked. Ample parking is provided when you get there. Fit visitors can enjoy the four kilometre walk into the caves. The return trip can be made by bus. Plans are under way to construct a golf course here too.